Books designed to help improve human performance using the latest sport science techniques and strategies. 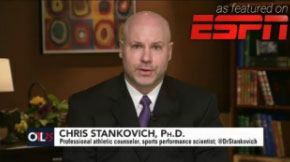 Dr. Chris Stankovich "The Sports Doc"
Both traditional and interactive digital books to help you navigate the complexities of youth sports and provide the best assistance possible to your child. Our current book lineup includes professional education to help with athlete performance, life skills development, positive youth sport parenting, and athlete transitions. All books are designed to inspire athletes, coaches, and parents to experience sports holistically, and apply athletic transferable skills to life off the field. We offer traditional book downloads, as well as the popular e-book The Mental Toughness Guide to Athletic Success on Apple itunes. Our current book library includes many popular offerings in addition to The Mental Toughness guide, including The Parent’s Playbook, Sport Success 360, and Positive Transitions for Student Athletes, the first book written designed to help athletes successfully handle the inevitable and unique sport retirement transition. Catch Dr. Stankovich’s tv, radio, and print interviews and columns here! Quickly and accurately test your level of mental toughness in just a few minutes using the Sport Performance Assessment. (SPA), an easy-to-use sport psychology system specially designed to help you REACH YOUR FULL ATHLETIC POTENTIAL. 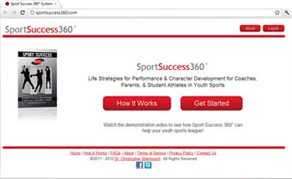 Life strategies for performance and character development for coaches, parents, and student athletes competing in youth and interscholastic sports.